Have you ever heard the expression that that “an ounce of prevention is worth a pound of cure?” In dentistry, we prefer to say that it’s more like a ton of cure. When it comes to oral health, preventing problems is easier, less expensive, and less traumatic than curing them. At Peartree Dental Care, we want to see our patients enjoy good oral health throughout their entire lives. With today’s advanced medical knowledge and technology, that is now a realistic goal. The cornerstone of healthy teeth and gums, however, is preventive dentistry. How Do Regular Check-Ups Protect My Teeth? There are several things that happen at every check-up. Our goal is to review every aspect of your oral health and ensure any problems are addressed with appropriate care. Examination of Teeth and Gums – We check for signs of gum irritation and gum disease, as well as cavities and demineralized enamel. Checking Prior Dental Work – We look at any fillings, crowns, or bridges to make sure they are still effectively protecting and restoring your teeth. Preventive Treatments – Fluoride gel and sealants may be applied to strengthen enamel and protect the teeth from decay. Oral Cancer Screen – Every exam includes a screening for the lumps, patches and discolored areas that may indicate the start of oral cancer. Patient Medical Check-In – Many medical conditions can affect your oral health, so we always confer with patients to see if any new medications of treatments may be affecting your teeth. Oral Health Education Session – Dr. Michael Zhou and your hygienist are a wealth of knowledge on oral health. If you have questions about oral hygiene products or how different foods affect your teeth, now is the time to ask! Some people take an attitude that “my teeth are fine, I’ll see a dentist if I start having a problem.” This may be a standard way to approach whole-body wellness, but it’s not the best way to care for your teeth. A headache or strained ankle may get better on its own, but teeth never do. Preventive dentistry reduces your risk of developing cavities and gum disease. It also helps you ensure that any small problems are restored before they turn into catastrophes. Preventive visits let us treat demineralized enamel before it turns into a deep cavity that gives you a toothache and requires a root canal treatment. Preventive visits let us remove the tartar that leads to cavities in the first place. When you forgo preventive dentistry visits, you actually become more likely to develop oral health problems. Beyond the realm of cavities, there are several other oral health issues that may develop in the jaw. Dysfunction of the temporomandibular joint (TMJ) can lead to a painful condition called TMJ disorder. In many cases, it is caused by malocclusion (misalignment of the teeth) and can lead to painful headaches, jaw pain, sore facial muscles, and neck pain. At preventive visits we can assess your bite alignment and determine whether you might be at risk of developing TMJ disorder. We can also help you if you suffer from bruxism (teeth grinding). These conditions can often be treated with a mouth guard or oral appliance. These devices gently reposition the teeth while you sleep and cushion the teeth from friction. If you are a snorer or have been diagnosed with obstructive sleep apnea (OSA), we may be able to help you create better airflow when you sleep at night, with an oral appliance. This small device feels a bit like a thin mouth guard and it brings the lower jaw slightly forward to open up the airway. Do you need preventive oral care? If you haven’t been to the dentist in a while, you are missing out on the easiest way to protect your teeth. Wait until problems develop, and they become exponentially more difficult to correct. 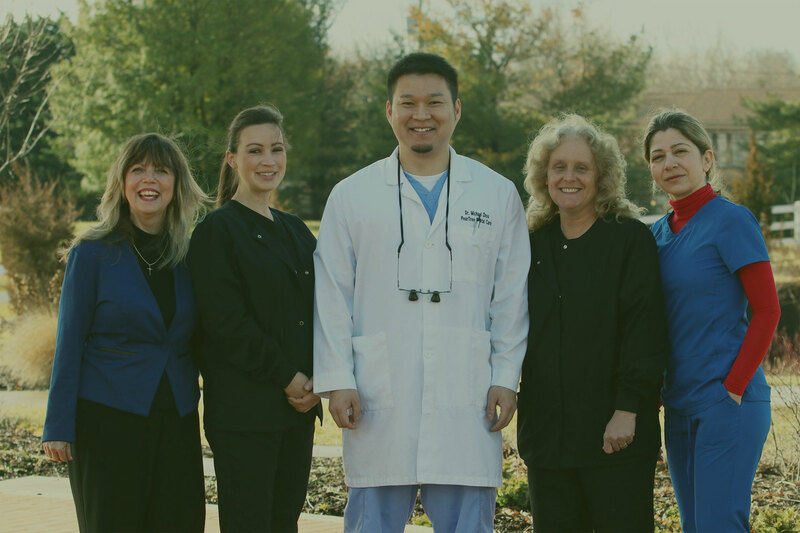 Contact Peartree Dental Care of Ellicott City, MD today. Call 410-750-2599 to make an appointment.